There is one thing that all famous writers manage to do: Develop their own unique style. This personal and creative way of writing is a sure-fire way to capture the hearts and minds of audiences everywhere. But how does one develop one’s own unique voice? In this unit, we will read a number of works by a single author (Roald Dahl) to discern a particular writing style. We will learn how to discern a pattern by comparing multiple works by a single author. What is creativity? Why is it important? How can we tell individuals apart by their use of language? We introduce this unit by exploring these fundamental questions. We will also begin reading our Roald Dahl books. In these lessons, we will read at least three Roald Dahl books to uncover his creative writing style. We will revise the main elements of narrative and use these to summarise our independent reading. Session 3 – What makes Roald Dahl a good author? Now that we have read and summarised a number of works by the same author, it is time to compare his works and look for common elements! 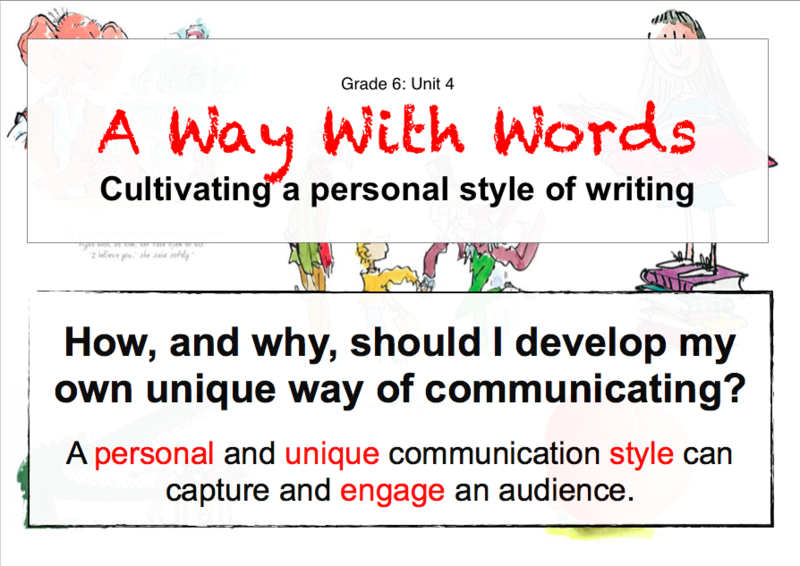 In this lesson, we learn to write introductions and conclusions to pull all our ideas together.